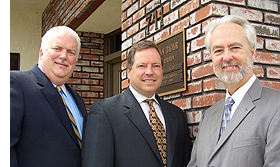 The firm upon which Carroll Gilbert & Bachor LLP is based was founded in 1974 and has represented thousands of businesses, individuals, real estate investors, real estate professionals and industry organizations such as the Automotive Trade Organizations, Inc., the California Service Station Council and the Goodyear Dealers Association. Articles by our attorneys have appeared in numerous publications, including Service Station Management, Motor Service, National Petroleum News, and Oil Week. We have handled leading landmark cases such as Tameny v. Atlantic Richfield Co. 27 Cal.3d 167 and Abrahim v. Equilon 292 F.3d 958, (9th Cir.(Cal. ), Jun 07, 2002). CG&B periodically distributes bulletins and newsletters. Review our articles for informative tips about small claims, franchising, business lotteries, tax changes and other issues that affect your business.